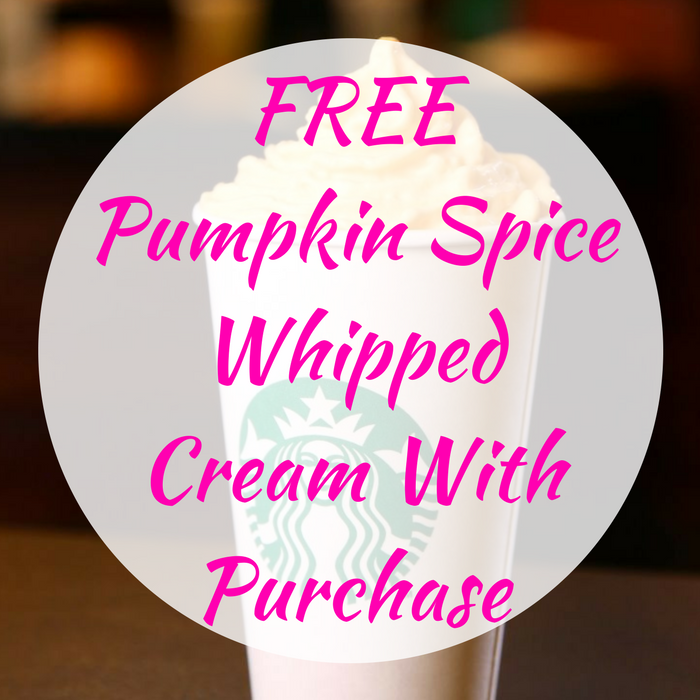 FREE Pumpkin Spice Whipped Cream With Purchase! You are here: Home / FREEbies / FREE Pumpkin Spice Whipped Cream With Purchase! Until October 8 only! Starbucks participating stores are offering a FREE Pumpkin Spice Whipped Cream with any Pumpkin Spice Latte Purchase! Yum! Click here to check if the store near you is participating.